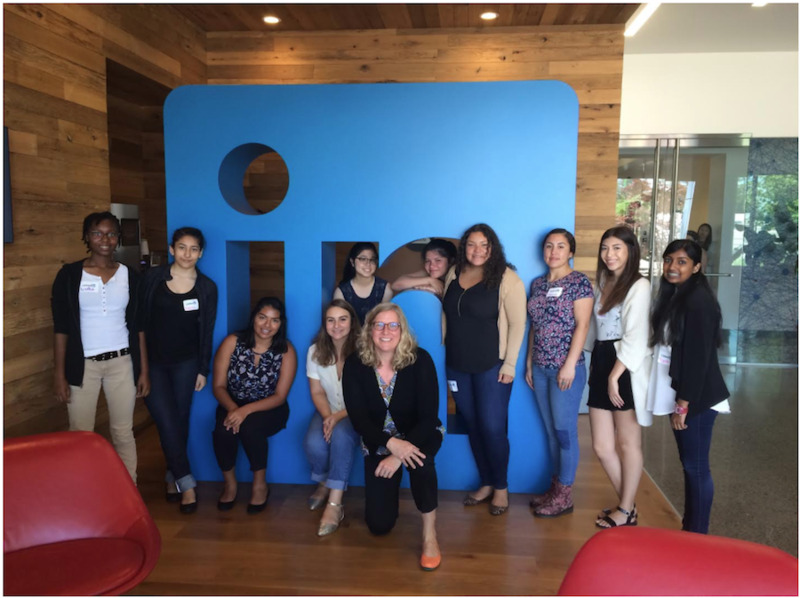 Last month, we completed the third edition of our LinkedIn Women in Tech High School Trainee Program. 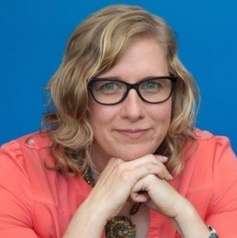 For those who are unfamiliar, the vision behind the program is to inspire the next generation of women to study computer science and related fields. We aim to accomplish that goal by embedding high school students with software engineering teams at LinkedIn for seven to eight weeks in the summer. Over the three years that we've conducted this program, we’ve exceeded our overall goal, which is to have 80% of the participants choose a STEM major. All participants are surveyed at the end of the program to determine this percentage and we also follow up with them once they decide on their college or university. Given this success, we wanted to share our formula with other companies so that they too can implement similar programs to help encourage high schoolers, who might not otherwise see themselves as coders, to consider a career in tech. To that end, we're proud to announce today that we have open sourced the program materials and curriculum on GitHub. For this year's cohort, we focused on reaching students who expressed even less of an initial interest in computer science than candidates from previous years. We wanted to see if we could still be just as successful in that demographic as we had been before. 2017 was also the first year we hosted students in both our San Francisco and Sunnyvale office locations. Similar to previous years, the program typically ran from Monday through Thursday, with students spending an average of 32 hours a week on campus. For their technical projects, the students built a full-stack web application and worked on engineering small features in LinkedIn’s products. For example, students contributed to our marketing content management system, called “Inkwell,” our LinkedIn Learning products, and our data applications. In addition to the technical skills they learned, the students had the opportunity to participate in several enrichment activities and team-building events, including an 80s Murder Mystery Lunch. Throughout the summer, I noted a transformation in the students, from tentative to being confident and proud of their work. As the program progressed, the group began embracing and enjoying various aspects of their craft. They went from unsure outsiders to eager participants in the technology industry, in just eight short weeks. 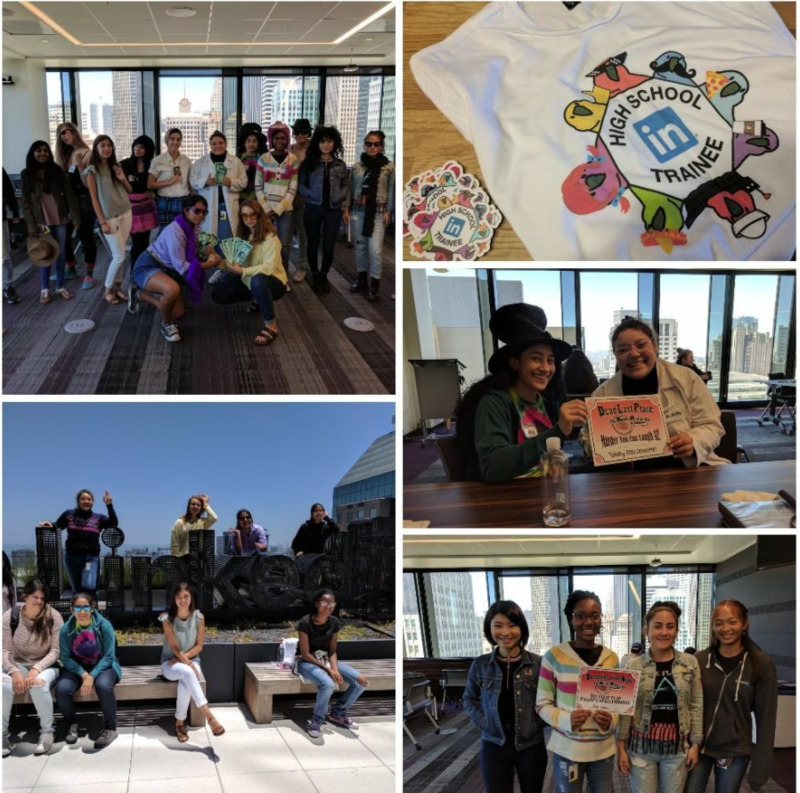 The program also had a positive impact on the LinkedIn employees who served as mentors for the trainees, with several noting that they felt gratified watching students discover and nurture an interest in computer science. Volunteers involved with the program shared similar sentiments, appreciating the chance to make a difference in the students’ lives. The results of this program speak for themselves. Even this year, as we incorporated students who expressed less up-front interest in or exposure to technology, we continued to exceed our goals. After completing the program, 96% of students report they would “definitely” or “most likely” study a STEM subject in university. 89% of students report they would “definitely” or “most likely” study CS or IS in university. Students reporting they were “very confident” in their decision to study a STEM subject in university rose from 20% to 80% during the duration of the program in 2017. Given the success we’ve seen over the years with this trainee program, we wanted to make it easy for other companies to adopt similar initiatives as well. The open source materials are now available on GitHub to help distribute our learnings and make this a reality. It’s our hope that in 2018 and beyond, other companies will join us in bringing this opportunity to high school students. To help make a career in technology available to everyone, we believe it’s important that students can see a real path forward for themselves in STEM fields from an early age. As active technologists, we are uniquely positioned to engage and encourage students around these subjects, and to help open the world of computer science and similar fields to them. Huge thanks to Teresa Leija from our Campus team, who ran logistics. Thank you Kacey Mack, who took the lead for Summer Events; Tiffany Saelinh, Crystal Chen, and Nicole Ng, who developed the curriculum; Shalini Agarwal, who is helping roadshow the open source project; and finally thank you to the mentors who worked tirelessly with the trainees each day, the task force that helped us get things done, and the teachers who partnered with us to make the program a success.